The FiancÃ©s. Lila becomes engaged to be married to Stefano, who decides to invest in Lilas shoe design and form a partnership with the Cerullos. Acclaimed Italian drama based on the bestselling novel. Forbidden Fruit. Wilhelmina decides to throw a Halloween party, prompting three gate-crashing guests to join the afterparty. A nuclear apocalypse decimates the world in this season of the gripping horror anthology. 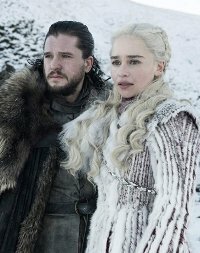 Summers span decades, winters can last a lifetime and the struggle for survival- and the Iron Throne - begins in the final season of the critically acclaimed worldwide phenomenon. Uplifting sports drama. After the tragic death of a star volleyball player, a team of dispirited high school girls must band together to win the state championship. Chef Gordon Ramsay, Actress Piper Perabo, Performance By Elle King. James Corden hosts this Emmy winning talk show featuring celebrities, games and Carpool Karaoke. One Eyed Monsters Inc.. From the beloved, multi award-winning television host comes a hilarious, fun and brand-new set of games with special surprises and unpredictable twists. A Math Emergency And Perky Palms. Sheldon and Dr Sturgis have their first fight when Dr Sturgis marks a question wrong on Sheldons test. Endearing family comedy based on the The Big Bang Theory. The Donation Oscillation. Penny tries to seduce an abstaining Leonard to ruin his donation for her ex-boyfriend, Zack and his wife Marissa. Golden Globe-nominee Johnny Galecki stars in this acclaimed sitcom. The Czech List. Will must seduce the widow of a shipping tycoon to gain access to a list of criminal clients, but Frankie doubts his abilities. The producer of Scrubs backs this funny action-packed drama. The Dark Night. The acclaimed executive producers of Greys Anatomy take us three blocks down in this fast-paced drama about a group of heroic firefighters in the Seattle Fire Department. Show Boat. After the dining room light fixture is broken, Peggy and Mike use all their tactics to compel a confession out of the guilty Cleary child. Ensemble family comedy set in the 70s. Lifetime Of Achievement. The Murphy in the Morning team, Avery and Phyllis join Jim Dial at an eventful lifetime achievement award gala in his honour. Reboot of the Emmy-winning workplace comedy. A Diamond In The Rough. The NCIS team investigates the home invasion of Navy Captain Dean Hadlow. Emmy-nominee LL Cool J stars in this crime drama. Carte Blanche has developed a high degree of credibility in South African television journalism and has been awarded more than 100 local and international honours. Pilot. In the series premiere of this mystery thriller, a plane disappears and returns years later after being presumed lost at sea. From the producer of The Mysteries of Laura. Wine Weekend. The family goes on a wine tasting trip courtesy of Haleys new boss, but a night of mischief leads to the ruin of an expensive tiara. Emmy and Golden Globe-winning family comedy. Life As We Know Or Go It. From the beloved, multi award-winning television host comes a hilarious, fun and brand-new set of games with special surprises and unpredictable twists. And Dream Of Sheep. Ties are strained as Andrew and Carina confront an unforgiving family history and Teddy and Owen work on a married couple that is expecting. Shonda Rhimes acclaimed medical drama returns. The Domino Effect. With a big domino transplant procedure on the line, Max must decide if he can be present in the hospital while also dealing with his illness. Emotional medical drama inspired by true events. S3/E14 - The Graduates. Kevin keeps a secret from Zoe while Randall gets unexpected news about Deja and, in the past, the Big Three graduate from high school. Golden Globe-winning dramedy. Curtains. The FBI sets plans in motion to sweep in and make arrests as tensions between Amara and the LA cartel erupt into full-blown war. Dark dramedy following a small-time-mobster-turned-Hollywood-producer.